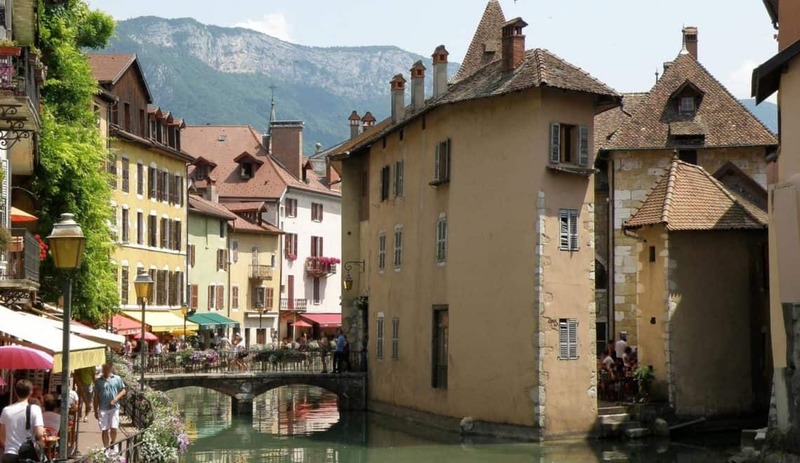 The summer holidays are a time for visiting exciting places, experiencing new things and getting away from the humdrum of every day life. Many families will be taking advantage of the benefits of a staycation, allowing them to explore a bit of the UK without braking the bank. Camping and caravan holidays are a cheap, fun and family-friendly way to holiday. However it’s important to make sure you are properly prepared. The excitement of the holidays can make it easy forget some basic safety precautions that you wouldn’t think twice about at home. Did you know that half of British homeowners now have a carbon monoxide (CO) detector in their home but just 13 percent make sure they are protected in the same way when under canvas? You can’t see, smell or hear carbon monoxide, but if you are using anything that burns fuel the fumes are there and could build up to dangerous levels if trapped. The safety conscious peeps at CORGI HomePlan are running a campaign to make sure holiday-makers are aware of this and do what they can to minimise the risks to their family. 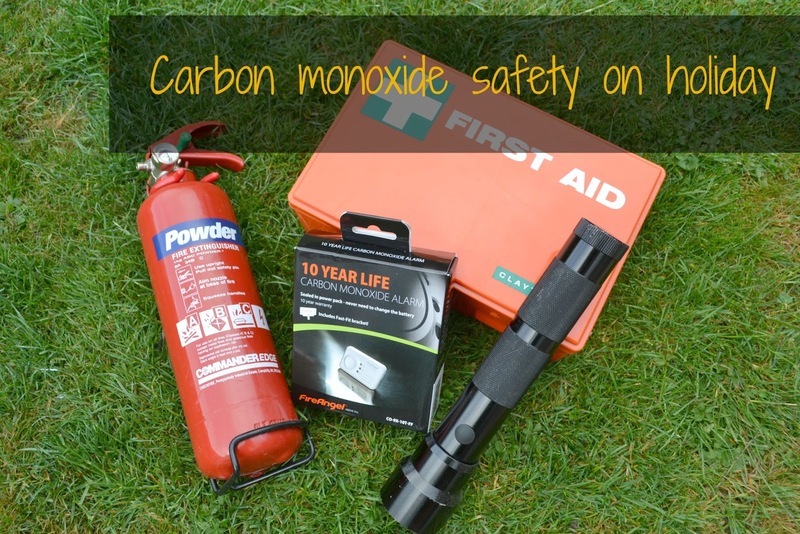 Barbecues, generators and fuel-burning appliances like refrigerators, portable gas heaters and lamps all give off carbon monoxide, and should never be used in a tent or awning. Caravans and motorhome cookers should be serviced annually and well ventilated when in use. 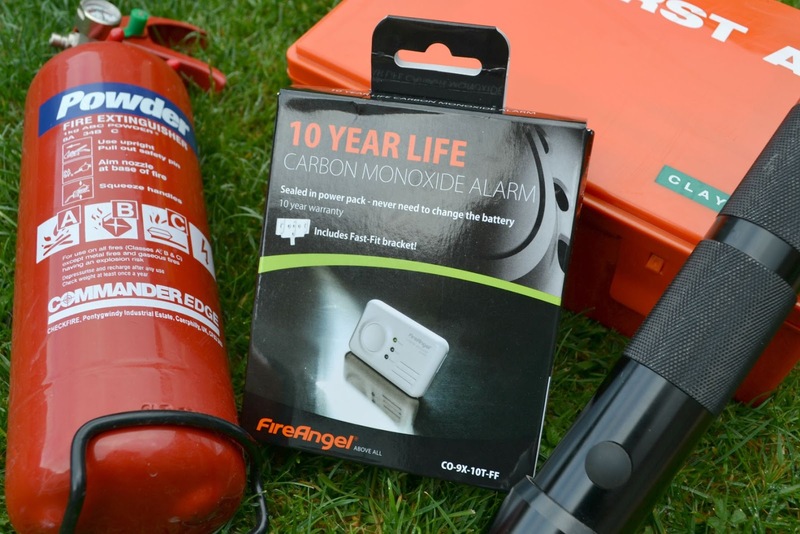 Our caravan safety kit has always included first aid supplies, a torch, fire extinguisher and carbon monoxide alarm. The best type of alarm to go for is a ‘Type B’ alarm that complies with the proper standards. There’s more good advice in CORGI HomePlan’s nine tips to keep families safe on holiday. Disclosure: Corgi sent me a carbon monoxide alarm as part of their campaign. We’ll be putting it to good use when we are holidaying without Tin Box this summer. It's the last thing you want to think about on holiday but so important. That's such a good idea. CO alarms should be compulsory in holiday accommodation. They are as important as fire alarms and blankets.